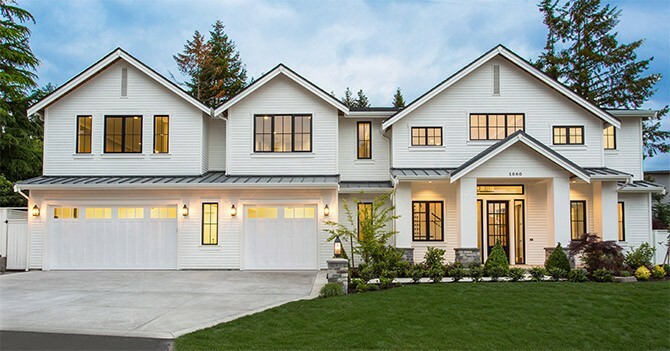 Situated in an ideal close-in West Bellevue location, this fresh new design by BDR Fine Homes boasts over 5,100 Sq. Ft., 5 bedroom suites plus a den, and a large outdoor room complete with heaters, fireplace, and a TV. Additional luxury features include an expansive 10 foot kitchen island, a separate prep kitchen, mud room, wine cellar, and a large den/office complete with fireplace. The Gensuite guest suite features a kitchen, living/bedroom, and bathroom, all accessible through a private entrance. This luxury home is conveniently located just a short walk away from Medina Park, excellent schools, and the areas renowned community beaches. This location offers the best of both worlds, combining quiet seclusion while being ideally located just 5 minutes from downtown Bellevue & 10 minutes from Seattle. This home will be completed in March 2016 and is being offered at $3,498,800.